This phone is practically the same as the Tecno i3 in looks. It sports a metal unibody design and comes in at 7.9mm thick. You can also get it in champagne gold, black or grey colour. Tecno i3 Pro weighs about 145 grams. The display also measures 5 inches diagonally and is based on in-plane switching (IPS) technology. With a resolution of 720 x 1,280 pixels, the capacitive touchscreen should deliver decent viewing experience. This department remains the same as what you get on the i3. On the rear, the Tecno i3 Pro has an 8 megapixel camera with a quad-LED flash and autofocus features. The 8 megapixel selfie camera offers flash also. There is 16 GB of onboard storage for keeping photos and other stuffs. You can add up to 128 GB more via a dedicated microSD card slot. The Tecno i3 Pro gets power from a quad-core MediaTek processor, the speed of which maxes at 1.3 GHz. RAM is the thing that sets the phone apart from its standard variant. You get 3 GB of RAM here, compared to the 2 GB the i3 offers. The phone boots Tecno’s own HIOS software, a customised Android 7.0 Nougat OS. Juice for the Tecno i3 Pro is supplied by a 3,050mAh battery, which looks ready to support sufficiently long runtime. The Tecno i3 Pro reportedly offers more navigation features, including GPS with A-GPS, GLONASS and BDS. You can enjoy lightning fast mobile downloads with support for 4G LTE networks. There is also support for Voice over LTE (VoLTE). Bluetooth 4.2, microUSB 2.0, USB OTG, and Wi-Fi 802.11 b/g/n with hotspot and Wi-Fi direct are available for connectivity. There is no NFC or infrared onboard, though. 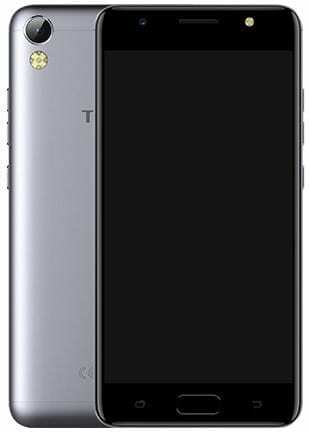 The Tecno i3 Pro is targeted at the Indian market and is expected at a price of 9,990 INR. Tecno i3 Pro is not yet available in Nigeria, Ghana, and Kenya. When available, you can buy the affordable smartphone at leading online stores in Nigeria and Kenya. Tecno i3 Pro Price in Nigeria ranges from 50,000 Naira to 65,000 Naira depending on your location in the country. Price in Kenya starts at around KSh 12,499.